schwooo! 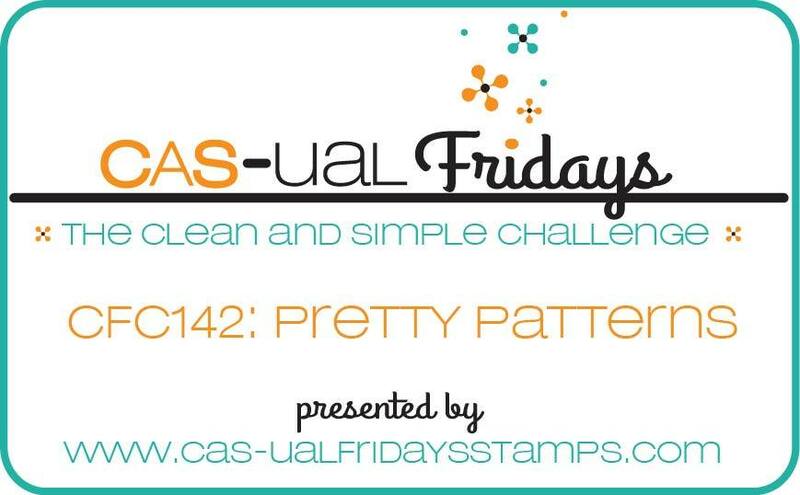 by stampinangie: CAS-ual Fridays and CAS-ual Chic Challenges: Pretty Patterns! 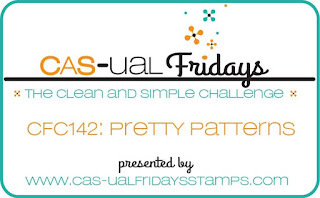 CAS-ual Fridays and CAS-ual Chic Challenges: Pretty Patterns! Are you ready for some new challenges? 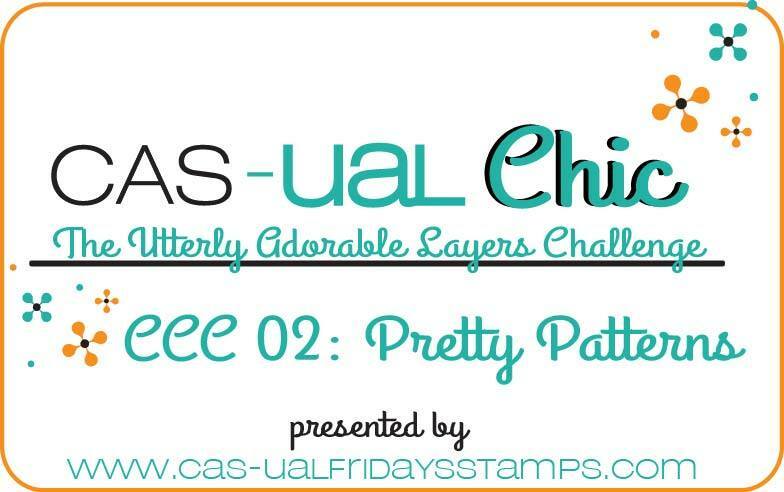 It's all about "Pretty Patterns" this week at the CAS-ual Chic Challenge! Celebrate patterns...use pattern paper, use a pattern stamp like chevron or houndstooth, or use any stamp to create a pattern...whatever you like! In the CAS-ual Chic Challenge it's all about utterly adorable layers, so in the card above, I created my own "pretty pattern" by stamping the flower from the Mon Ami stamp set in Memento black ink, then used the Ranger blender tool to fill in the flowers with Soft Sky ink. I saw Laura Bassen using that blender tool, and now I'm addicted to it! Almost forgot, I used the Mon Ami Fleur Fri-die on a piece of white cardstock to create a "stencil". I just placed it over each flower, then blended away! So easy, and it looks so smooth. Addicted, I tell you! 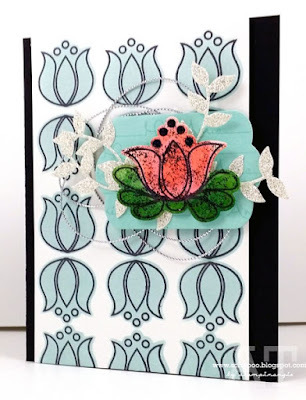 I layered that onto my back card base, then used the Bubble Box Fri-Die stamped with "Mon Amie" to create a place to plop my second flower from the Mon Ami stamp set. I used Copics to color in the flower, then smeared it up with a bit of black Stickles. I looped some silver cord behind the Bubble Box die piece, then layered in a few silver glitter cardstock vines created with the Casual Vines Fri-Dies. Whew, a lot to describe with utterly adorable layers! I hope you'll play along! 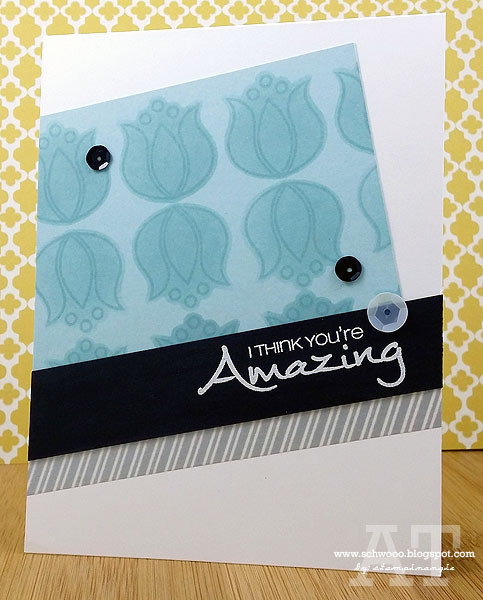 Be sure and head over to the Cas-ual Chic blog to check out the *amazing* cards by the rest of the design team! They make my layers look wimpy! I hope you'll play along with us at the CAS-ual Fridays Challenge too! Check out the cards by the rest of the design team and link up your entry! 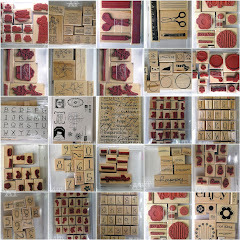 Accessories: Big Shot, CAS-aul Fridays Stamps Casual Vines Fri-Die, Bubble Box, and Mon Ami Fleur Fri-Die, SU silver cord, Black Stickles, Copics coral and green, Ranger foam blending tool, foam dimensionals. Accessories: Big Shot, CAS-ual Fridays Stamps Mon Ami Fleur Fri-Die, Heat Tool, White Embossing Powder, Ranger foam blending tool, SU silver washi tape, Teresa Collins Memorabilia sequins. Angie! Gah, these are FABulous!!!!!! Aren't you lucky being able to design cards for both challenges!! You've used my favourite flower stamp for both cards and they look amazing!! !